Read about late-in-life career transitions, including mine, in the Boston Globe, December 26, 2017. Friday April 26 2019, 8:00 pm. James Merenda's TickleJuice. at Outpost 186, 186½ (around the back) Hampshire Street, Cambridge MA 02139. Saturday May 4 2019. 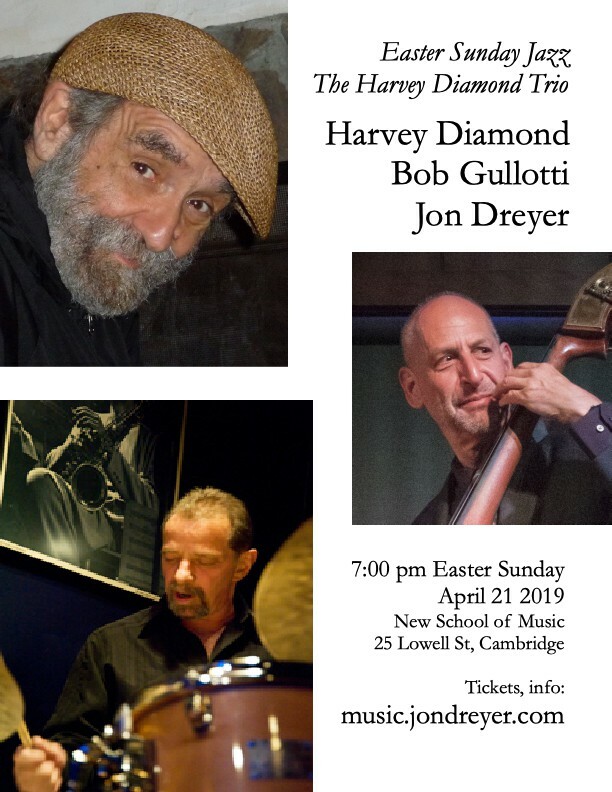 Harvey Diamond, piano; Jon Dreyer, bass; Bob Gullotti, drums. Private house party. Sunday May 12 2019, 11:30 am-2:30 pm. Paul Dilley, guitar; Jon Dreyer, bass; Miki Matsuki, drums. Boston Marriott Burlington, One Burlington Mall Rd, Burlington MA. Sunday June 9 2019, 4:00-7:00 pm. Jon's Jazz Jam. Jon Dreyer, bass. Chelmsford Center for the Arts, 1a North Road, Chelmsford MA. Saturday July 13, 8:00 pm. James Merenda's TickleJuice at the Mandorla Music Series. Third Life Studio, 33 Union Square, Somerville MA. 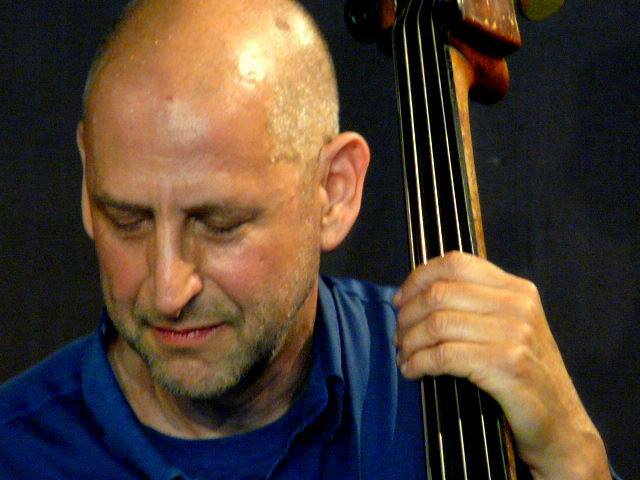 Please get in touch if you are looking for a bassist, cellist, or jazz duo, trio or larger group. Think about having live music at your next house party. Looking for Jon Dreyer the math tutor or computer science tutor? Same guy, different page.